We were not among the ones to preorder the last ASIC mining hardware that KnCMiner has sold to users, the Titan, but recently we have obtained some KNC Titan Scrypt ASICs to play with. The first thing you will notice is that even the latest official firmware of the devices version 2.0 is still pretty basic and the hardware is buggy, especially the earlier batch 1 devices. 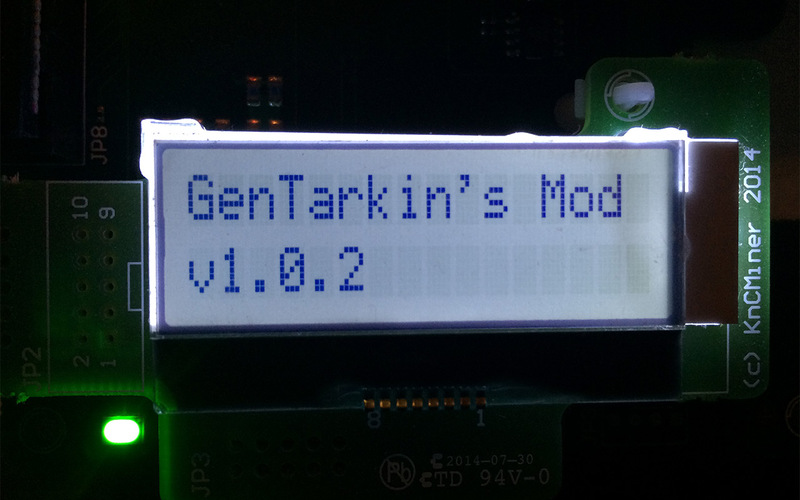 So we started looking for an improved version of the original firmware that would allow us to get the best out of the KNC Titan Scrypt ASIC and we have ended up discovering GenTarkin’s Custom KNC Titan firmware. This modified firmware provides users with an improved and more functional interface and more importantly a safer to use and capable of providing you with the optimal performance and power usage that your Titan cubes can provide you with. This of course comes at a price, you need to purchase a full license for the modified firmware that is currently sold at $75 USD for the controller and if you have an additional devices you can purchase extra licenses for $35 USD each for each controller (key for activation only), not for each cube. There are also additional discounts available for volume licensing for purchases of 10 or more licenses for large miners with more devices available. We have just started using the latest version 1.0.2 of GenTarkin’s Custom KNC Titan Scrypt ASIC firmware on the hardware we have obtained and as you can see on the screenshot both cubes we have attached to the controller have some issues with some of the chip dies and DCDC power units. You can see the difference in how the advanced settings page looks like for both the stock and the custom firmware. The power usage for example on the custom firmware reports more accurate power usage numbers and when you take into account the power efficiency of the PSU you can get pretty accurate power consumption numbers for the actual power used at the wall. There are number of additional protection mechanisms built in as well as optimizations to help run your mining hardware stable and with less issues on the long run. The Energy Saver is also something new and very interesting feature that supposedly can help you find the optimal settings for each die and thus help you get lower power usage while retaining optimum performance. We have just started using GenTarkin’s Custom KNC Titan firmware and so far we like the improvements and extra features we see from the latest stock firmware from KNC, in a few days we are going to be sharing more from our experience as well as doing a more detailed review. Meanwhile if you have some KNC Titan Scrypt ASIC miners and you are using the stock firmware you might be interested in checking out this custom firmware, especially if you are having some issues with your devices or have more than one miners.